By now, you’ve likely heard of “in-market audiences.” First released in 2014, Google says it is an effective way to “reach potential customers while they’re actively browsing, researching or comparing the types of products you sell. Using in-market audience targeting, you can connect with those most interested in what you have to offer, using precise segments that classify users based on their demonstrated in-market behavior and purchase intent.” Initially, it was only available as a targeting capability on the Google Display Network and YouTube, but in 2018, Google enabled advertisers to apply in-market audiences to search campaigns. While the concept of in-market audiences sounded like a homerun, performance didn’t always reflect that at first. In addition, if your company was in a niche industry, there likely wasn’t an in-market audience option relevant to your business. However, through testing and advancements in targeting capabilities in Google, VONT now has experienced consistent success with in-market audiences. As you go through the list of available in-market audience options, you may find some that fit perfectly with your business… or you might not. If you’re in higher education, you’re in luck. However, if you’re selling business banking supplies, your options are very limited. In most cases, this may be the point where one would say, “I give up! None of these in-market audiences fit my business!” But you shouldn’t give up so easily. Let the data decide for you. The data can tell you which in-market audiences you should be targeting. Some of you may be scratching your head as you read this, but we are going to let you in on a little secret… Google Analytics has all the answers. If you visit the Audience section of GA and click on “Interests” there is a specific section for “In-Market Segments”. These In-Market Segments align perfectly with in-market audience targeting in Google Ads. Now there is no guessing. You know exactly which in-market audiences to target based on the traffic that is coming to your website and completing actions. Another option for finding the right audience is using a newer tactic called “custom intent audiences.” By compiling a large list of your high performing keywords (about 50) and the domains of competitors, Google will create an audience of users that are likely to be interested in those keywords and URLs. In some cases, Google will even auto-create a custom intent audience. Google Display: If you’re looking to drive incremental conversions, then targeting in-market audiences on the Google Display Network is the way to go. While targeting just an in-market audience alone can sometimes drive the results you’re looking for, we’ve found that overlaying broad keywords that are relevant to your product/service has also proven to be effective. Unfortunately, Google plans to remove keyword targeting from the Google Display Network so we’ll have to switch this targeting over to a custom intent audience. We’re hoping to see similar results when we make the switch. Search: When adding an in-market audience to your search campaigns, we recommend using data from Google Analytics to inform those decisions and to first apply the audiences with the targeting setting of “Observation”. This will allow you to see how each audience performs before you make bid adjustments. We’ve used this method for a business banking supplies client and have found that traffic from the in-market audiences have driven a 21% higher ROAS compared to the non-in-market audience traffic. YouTube: In YouTube, custom intent audiences have a slightly different meaning. “Custom intent audiences can help you reach new customers on YouTube based on the terms they use to search for your products or services on Google.com,” says Google. Here, you are able to target users based on their previous searches! What shows intent more than searching for keywords related to your business? If you have strong video creative, this targeting tactic is a must-try. While an in-market audience strategy may seem straightforward, we strongly recommend that you fully research which in-market audiences are converting on your website before using in-market targeting. The data will likely surprise you. Use this to guide your in-market audience targeting decisions and continue to test across search, display and YouTube. 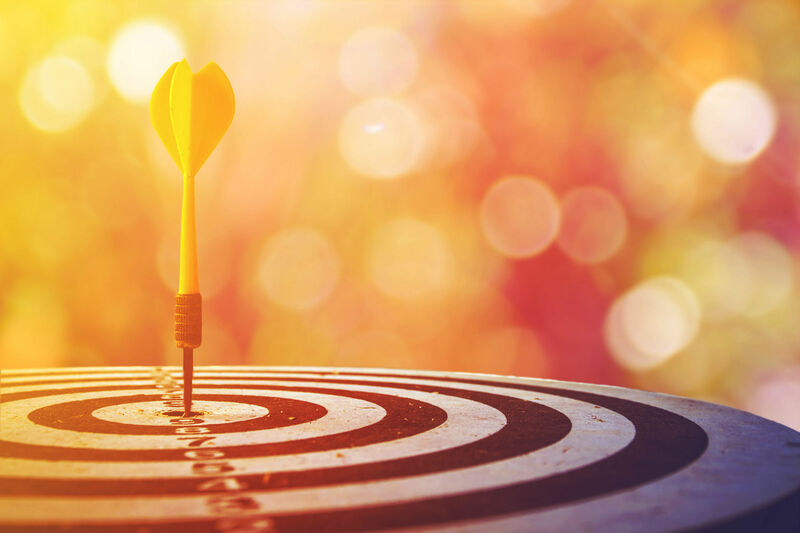 In-market targeting, and custom intent targeting are great ways to leverage real-time data to reach the right prospects at just the right time.